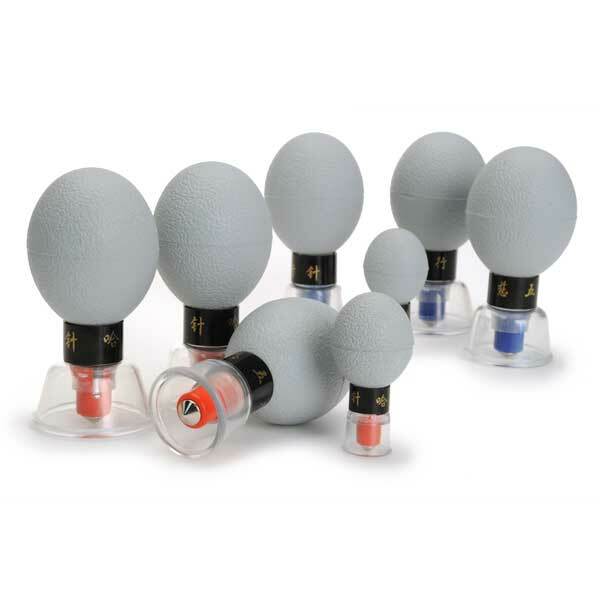 This wonderful tool combines micro-cups with positive and negative magnetic poles. Use for stationary tsubo or trigger point work or mobilize around an injury site. Also an absolutely amazing new approach to reflexology! Featured in Level I and Level II ACE Massage Cupping™ and MediCupping™ workshops, and all online classes / videos. 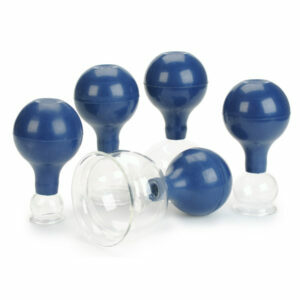 Features red bionorth (-) and biosouth (+) color-coded squeeze bulb plastic suction cups. Each cup includes a strong 2,300 gauss magnet. 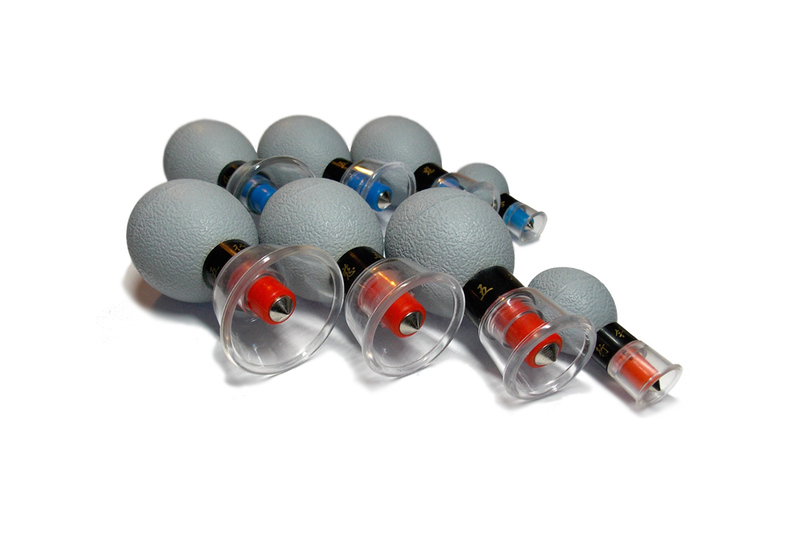 The 0.3″ diameter powerful magnet probe actually contacts the body during treatment providing a synergistically combined acu-pressure, bio-magnetic, and cupping treatment. Use a skin lotion to enhance suction. Set of 8 includes 2 each of the following diameter cups: 0.5″, 0.9″, 1.1″, and 1.3″.